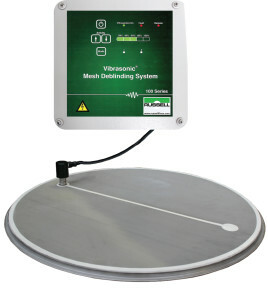 Russell Vibrasonic® Deblinding Systems enable you to sieve your powders on finer meshes with more accuracy than ever before, allowing accurate separation down to 20µm (#635 mesh). This improves the quality of your final products as well as their value. 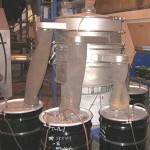 This ultrasonic system has been designed so that it can be retrofitted onto any new or existing vibrating sieve/separator. Either you get an ultrasonic vibro sifter or just the sifting system, you can increase the product quality and production output. Increased production output – there is no downtime to clean the mesh as screens stay clear from blockage. Contact Us for more information about our ultrasonic sieving solutions or view our Vibro Sifter equipment to increase your production and product quality. "With the Vibrasonic system, we have been able to work with medical customers to achieve their specifications for fine powders and tight particle size distributions. Any manufacturing process requiring precise, efficient screening below 150µm or above 100 mesh should consider such a system."